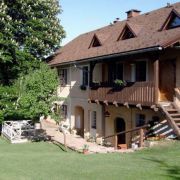 Accommodation in Adršpašské rocks in various rooms with sanitary facility, fireplace, own entrance, sauna, swings … More » , slide. Train station 3 minutes. Breakfast and dinner are possible. Skilifts 10km.